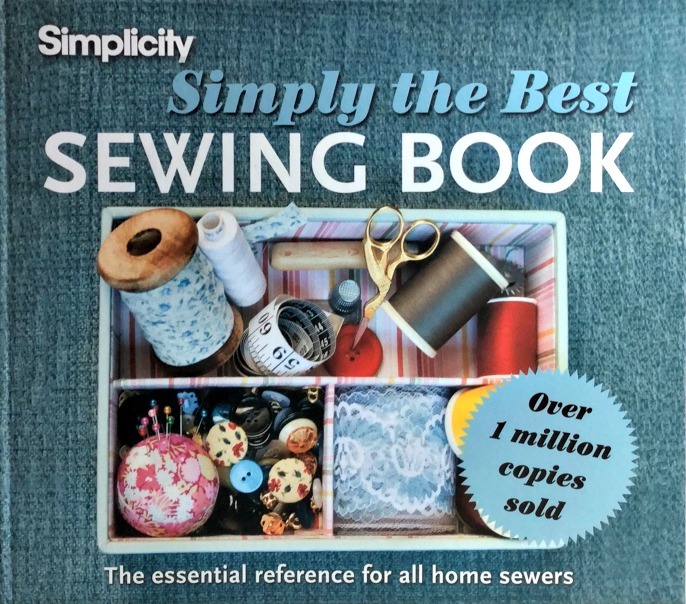 Simply the Best SEWING BOOK is my latest purchase and has everything you need to start your sewing adventure. This book is a hardback book and has eight information filled chapters! Gives some tips on how to achieve a flattering wardrobe! You’ll also find information about the pattern directions and pattern pieces. How to care for the fabrics-great to have incase you forget to write down the care instructions from your fabric that you just bought at the store. This chapter has great photos for following along with directions for adjusting the pattern. The written directions are easy to understand as well. For along time I would make shirts but the fit was always so big in the chest and shoulder area until I learned about an extra measurement to take and how to determine the correct size. My shirts now fit, and I’m excited to make more shirts! Picture of a page in the book along with color coded chapter tabs and spiral center of the book. There is so much valuable information is this chapter! 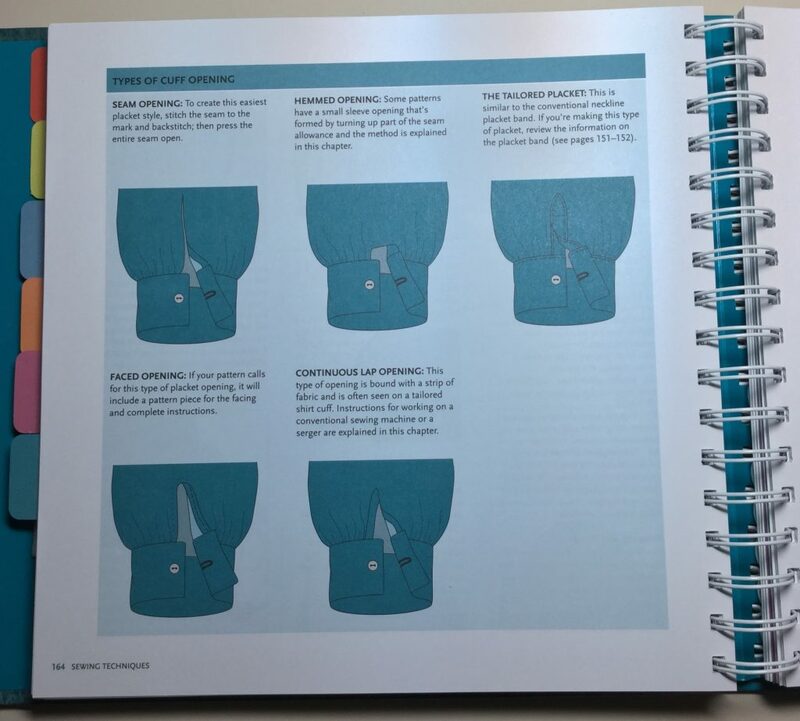 And, this chapter also comes with a chart for troubleshooting the sewing machine and/or serger, sometimes you can have little problems with your machine and it helps to have this chart to figure out what’s happening and how to fix it. CHAPTER 6 SEWING TECHNIQUES GALORE! Work with bands, collars, sleeves, shoulder pads and hems. You’ll also see how make different types of waist bands,make and insert belt loops, closures, buttons, trims and zippers! I almost forgot, there is a short section on Tailoring! I’ve been sewing for many years and this chapter does a great job teaching about special fabrics and how to work with the fabrics. There is information given for each special fabric. Examples: size of needle, pressing technique, seams and seam finishes, type of thread to use, etc. Books are a great way to learn to sew, classes are also great because they offer valuable and immediate feedback from the instructor and other students. Read: Learning How to Sew: What Projects are EASY for Beginners? Thanks for reading, see you soon! Please share this post on your favorite social media!